Lea and I have just returned from the closing on the house we had loved so much in Atlanta, Indiana. 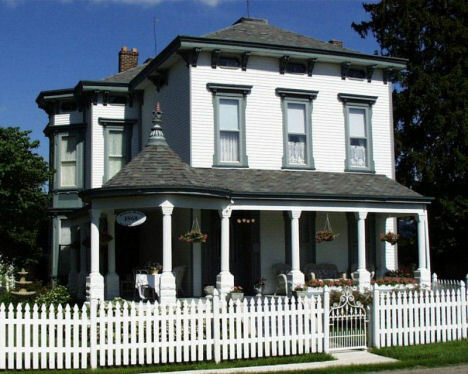 The home, which we lived in and operated as a bed & breakfast for nine of the ten years we owned it, has been purchased by a historical preservation trust. While there were nostalgic moments during the closing, we were very happy to know that the house will be cared for and given its rightful place among the historical icons of the Victorian age. It was with thanks to God that we signed the last document transferring ownership, and completed the closing with sincere gratitude to our tireless realtor who has worked through two false starts to get us to the closing table. She has been wonderful in supporting us throughout the many trials we have had to face in the past couple of years, and we look forward to being able to share many social occasions together in the future. So, with this posting Lea and I bid so-long to that chapter of our lives, and the wonderful house that made it all possible, the Asher Walton House, built in 1868. What a blessed time we had together! Farewell old friend.